I am usually very determined to make my life seem more interesting via social media, especially with Instagram. If I'm out and about, I have the uncontrollable need to snap a picture of something, think of a pointless caption that usually consists of too many relevant emojis, and slap a filter on so people know that I don't just stay in bed all day reading and studying (only for ten hours out of the day, duh). Waiting to catch a bus after the Parachute concert. The wait ended up being too long so my friend and I braved the 20 block walk back to the dorms. It was easily the worst decision we've ever made. 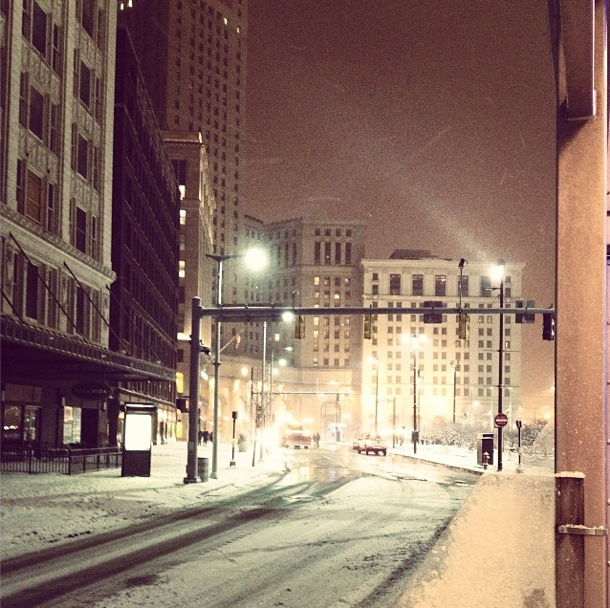 Downtown Cleveland looks nice when it's frozen, though. 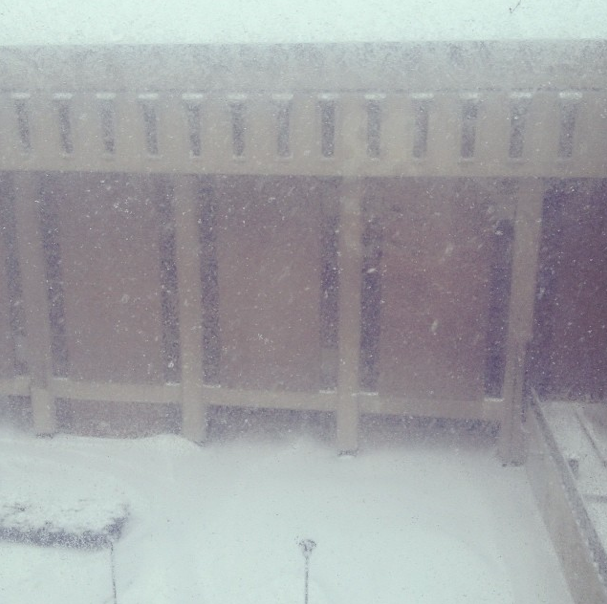 It doesn't snow a whole heck of a lot when I'm at school, but when it does, it's miserable. I was severely unamused by the weather this day. 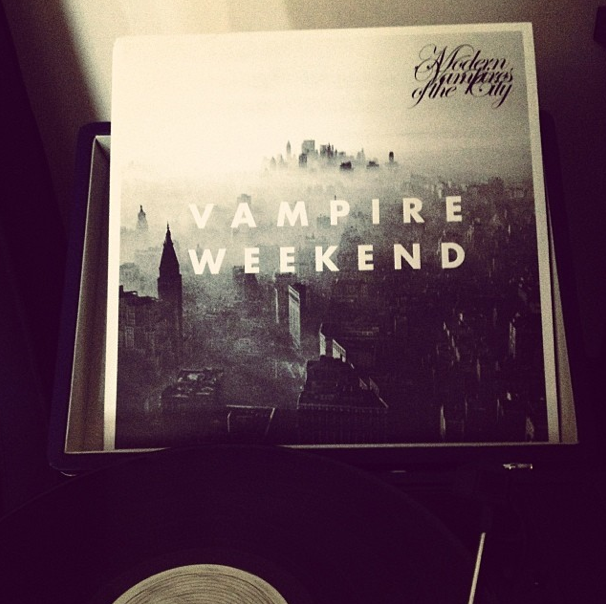 Modern Vampires of the City vinyl celebrating Vampire Weekend's Grammy win. 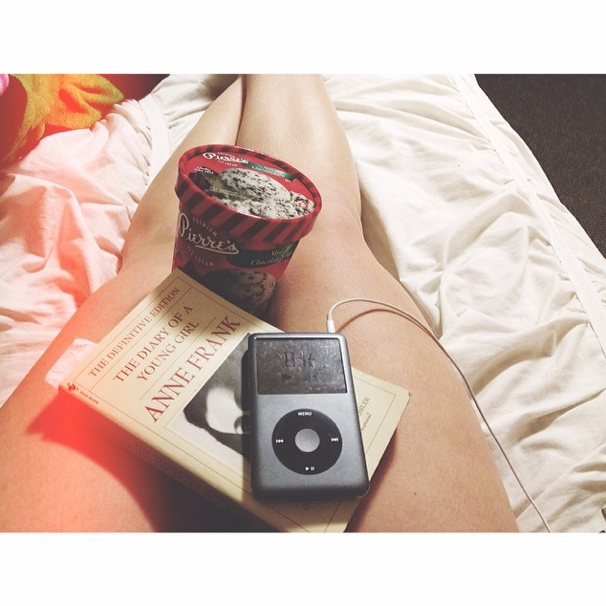 A typical weekend night: ice cream, a good book, and some tunes. Truth be told, I was only reading Anne Frank's diary to figure out if she was a Belieber or not. It wasn't explicitly said, but I'm thinking that the answer is "no". 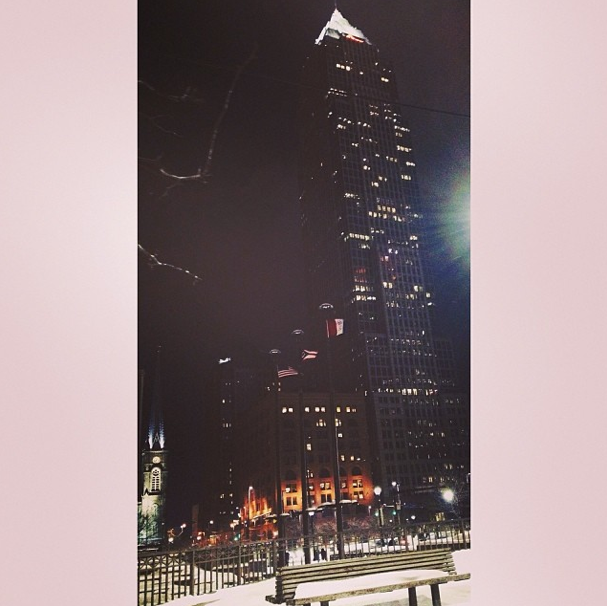 Snapped a shot of my favorite building downtown coming back from the west side after my suite mate got her tattoo. 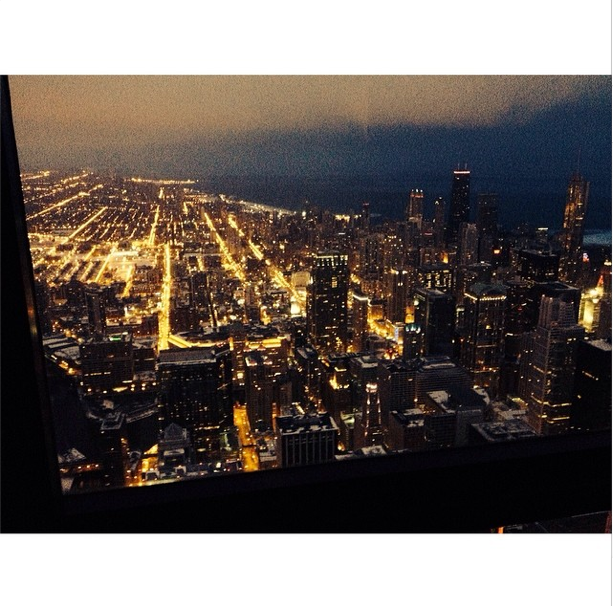 I went to Chicago and ended up going to the top of the Sears/Willis Tower. And yes, I did totally sit on those glass observation rooms and yes I did nearly pee my pants when I realized how high up I was. 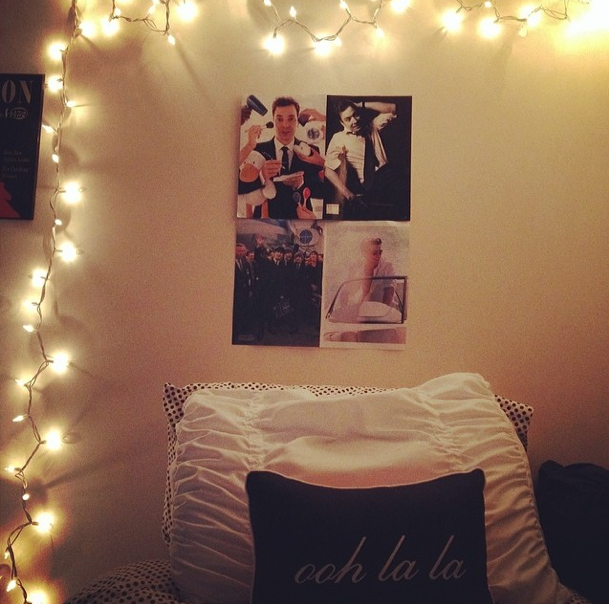 My ode to Jimmy Fallon (and The Beatles) above my bed. I badgered my mom for a waffle maker and she surprised me with one when I came home from Spring Break. 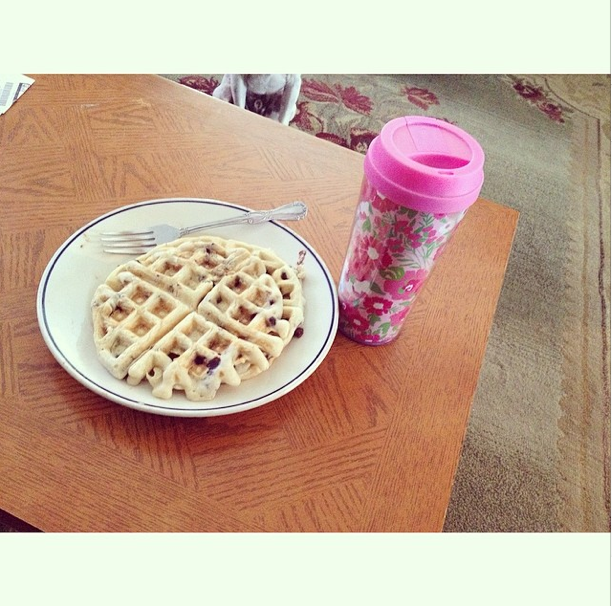 Nothing like waffles and Lilly Pulitzer on a Saturday morning. 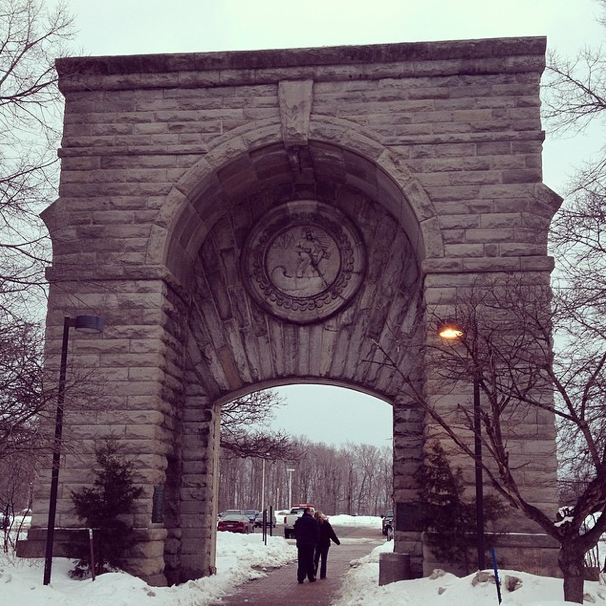 I went to Niagara Falls, NY and enjoyed the frozen scenery. It was bitterly cold the day I went but so worth it. 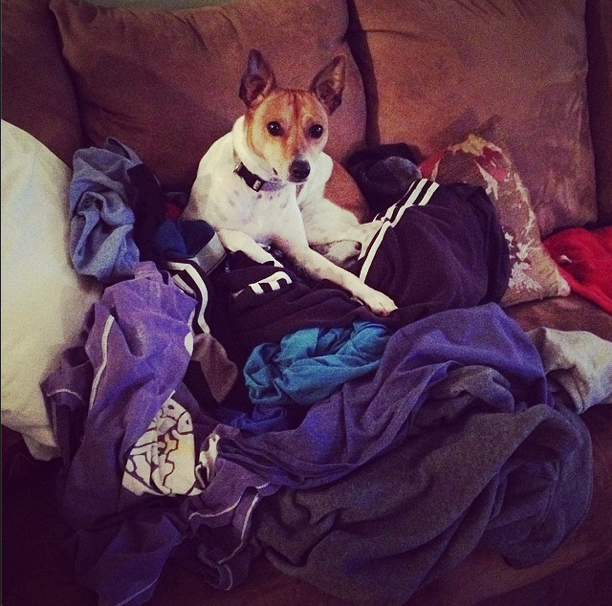 My dog, Cash (like Johnny), is really bad at folding laundry. 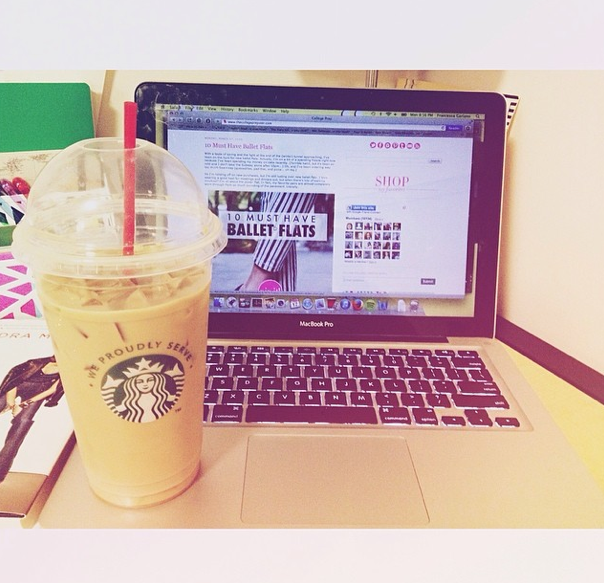 It's never too late for a venti iced coffee. 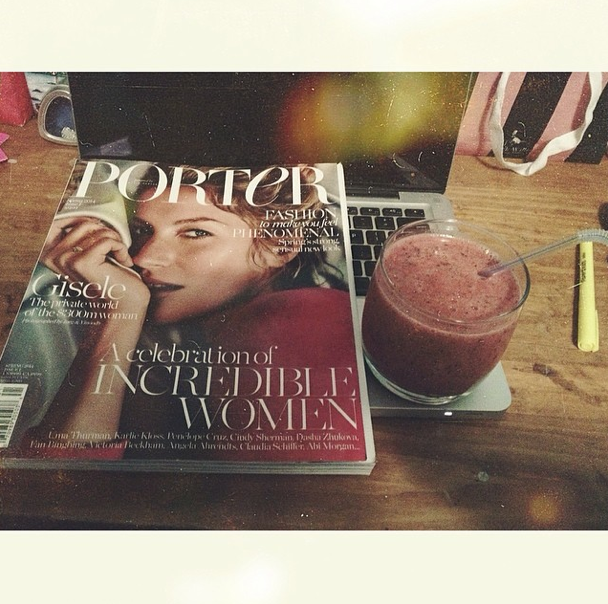 9 o'clock is my favorite time to catch up on my favorite blogs. The College Prepster will always be one of my favorites.